Gee thanks, Microsoft. Give us some useful product names, why don’t you! 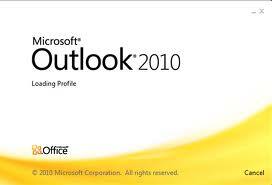 The post title of ‘Setting up Outlook.com Email in Outlook 2010’ looks like tautology, but at least it’s better than ‘Setting up Outlook.com (Microsofts online rival to GMail) to work with Outlook 2010 (Microsoft’s desktop mail client)’. This post doesn’t cover the action of setting up the outlook.com email address – we’ll write that one when we get around to it. As you may know, Google Apps withdrew their previous offering of 10 free email addresses for a domain, so we now placce new clients on Outlook.com (giving us up to 500 free email addresses). Note that menu options are show as a chain; so Tools->Options->Advanced would mean find the menu option Tools, then the menu or tab option Options, then the menu or tab option Advanced.